When i upgraded on windows 10, i realized there was no My computer icon on desktop. Now, this is different from windows early days, when these icons were ensured to be present on desktop. 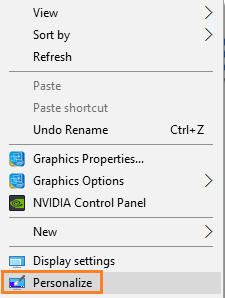 Now, if you want to put My computer on Desktop, just follow the tutorial given below. Step 1: – Go to desktop and right click on any empty area. Step 2: – Now, click on personalize. Step 3: – Now, in the right side of the system panel just opened, click on themes. 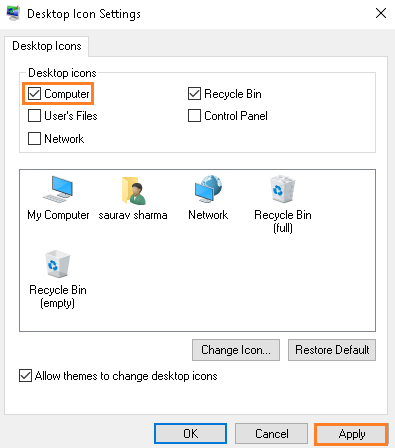 Step 4: – Now, Click on Desktop Icon settings. Thats it. Your my Computer Icon will be now present on desktop. You can also choose Control panel, Network to be there on desktop. Also, you can remove certain items from there easily.